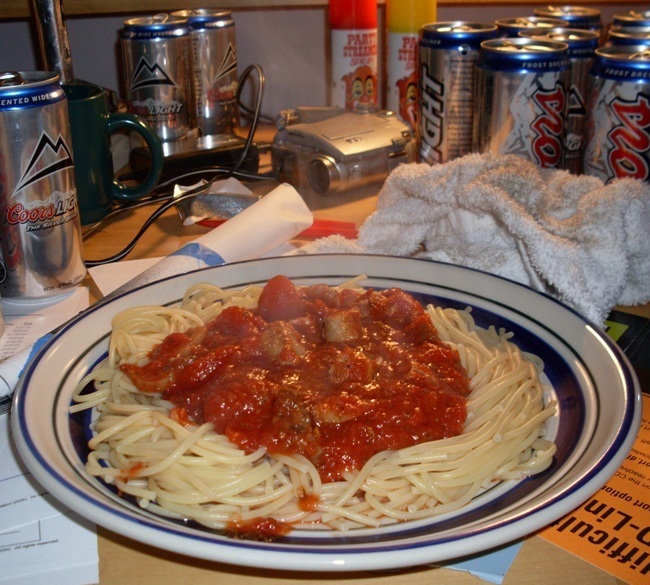 Everyone likes pasghetti, but most people just open up a can of Ragu and add some noodles. 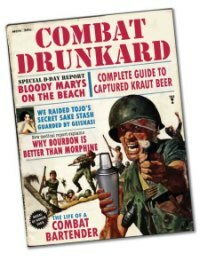 While this is very good for many things, its not great for making OT Pasghetti. 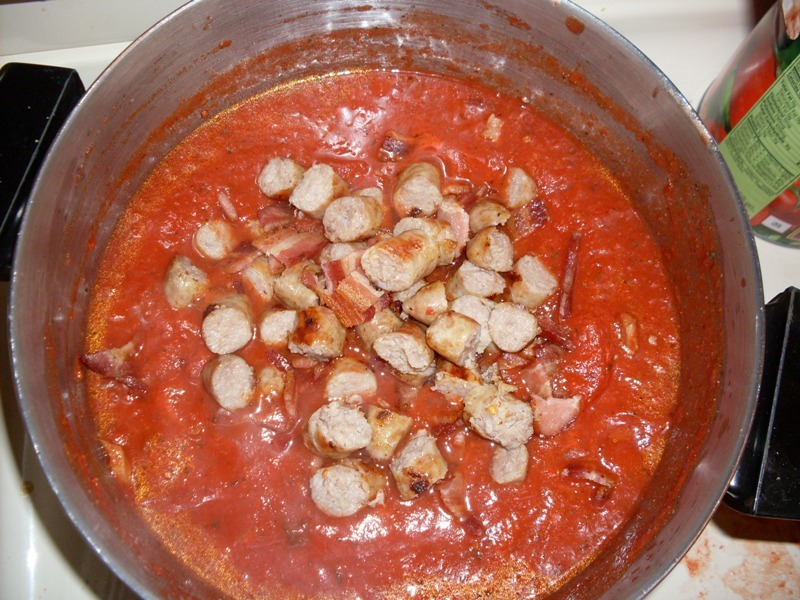 This is a basic pasghetti recipe that can be experimented with and built on. 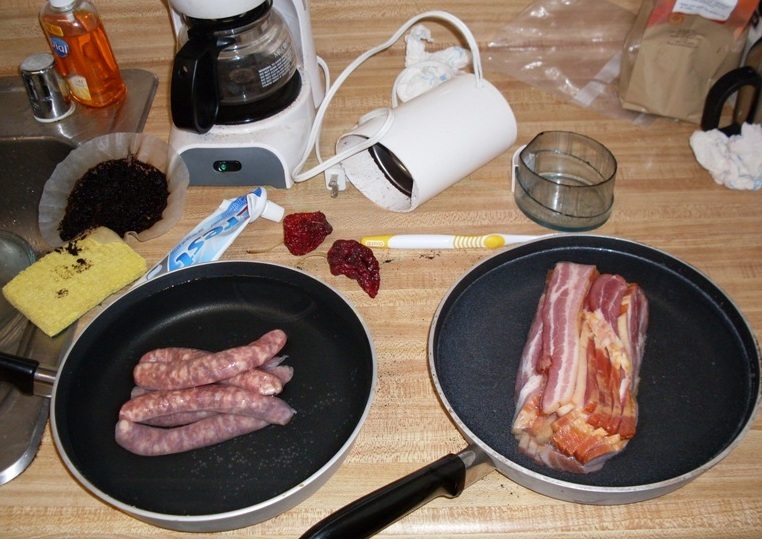 This is a short recipe for 1-2 people. 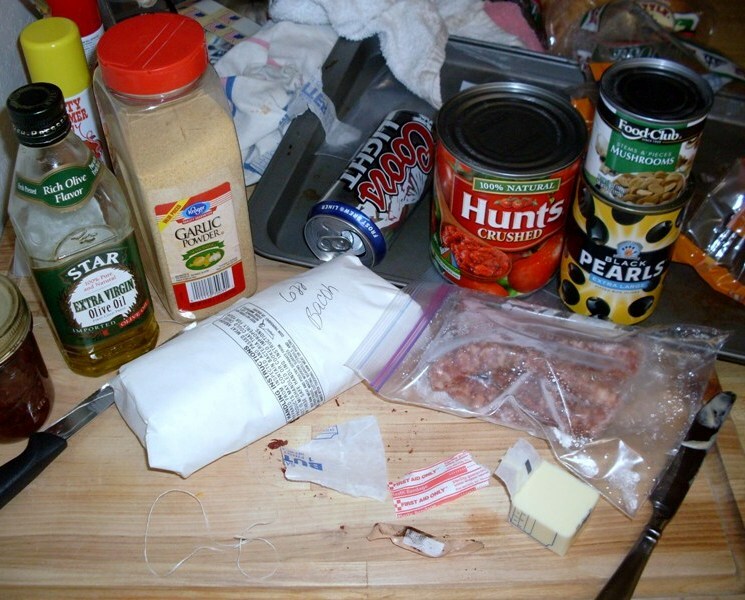 If you need more, double the ingredients you see here - and insure your health insurance premiums are paid in full. 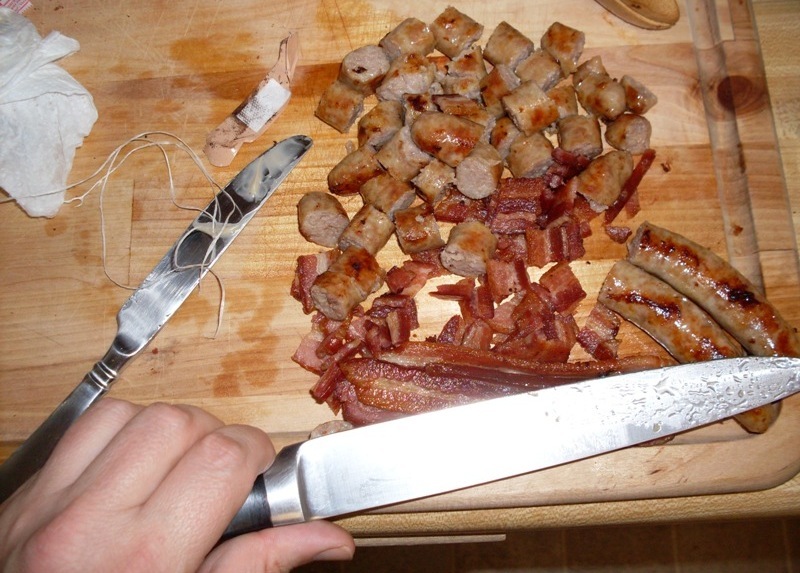 Melt the frozen bacon and sausage in a pan of warm water. 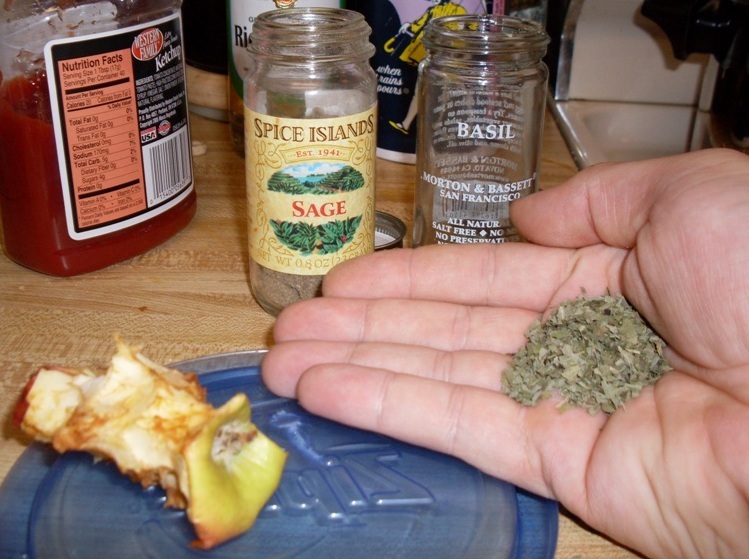 Add green herbs to taste, here I have chosen sage and basil. 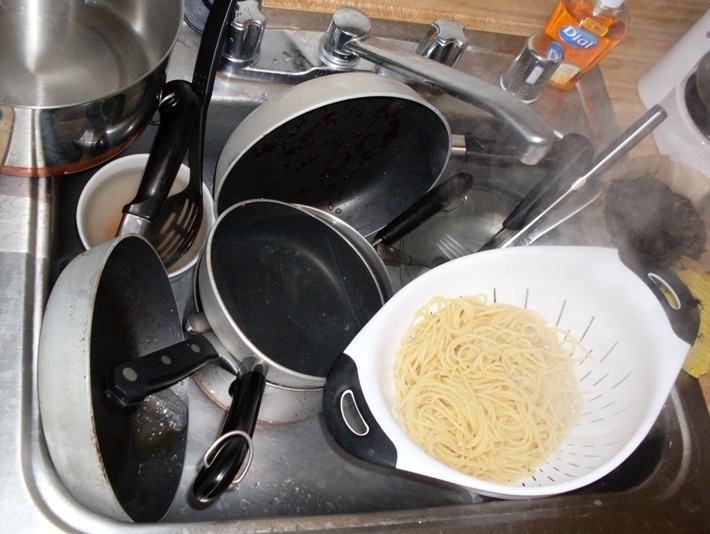 Insure you have enough pots and bowls washed and clean. 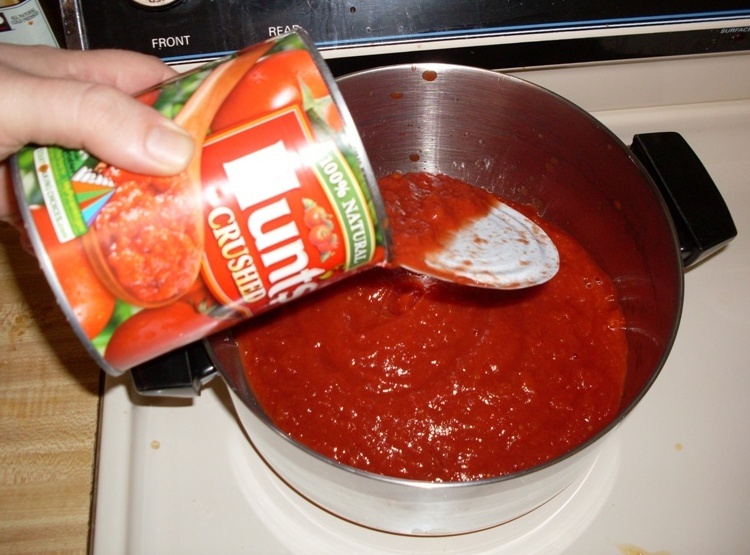 Start your sauce over medium heat with the large can of tomatoes. 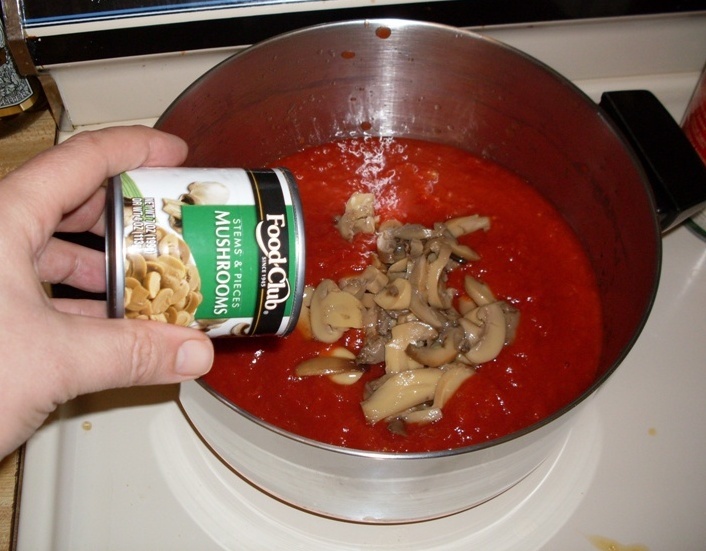 Add in the small can mushrooms. 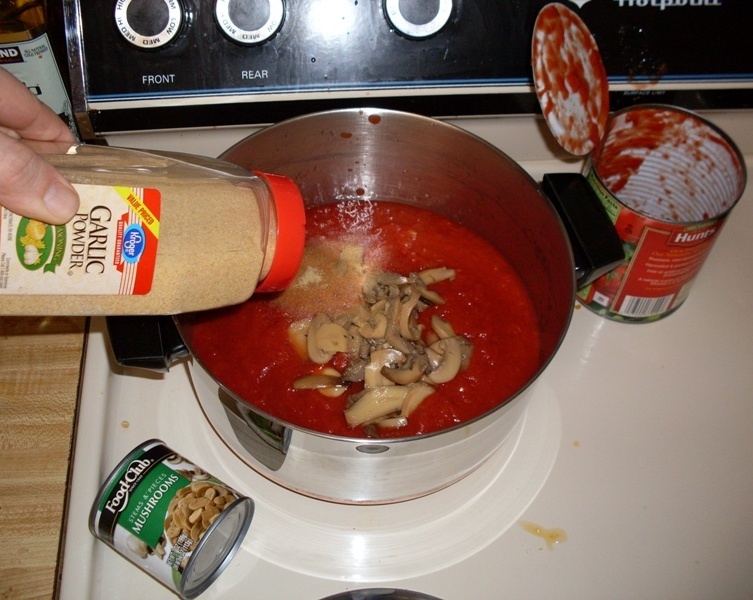 Add in garlic powder. Lots of it. Really, LOTS of it. 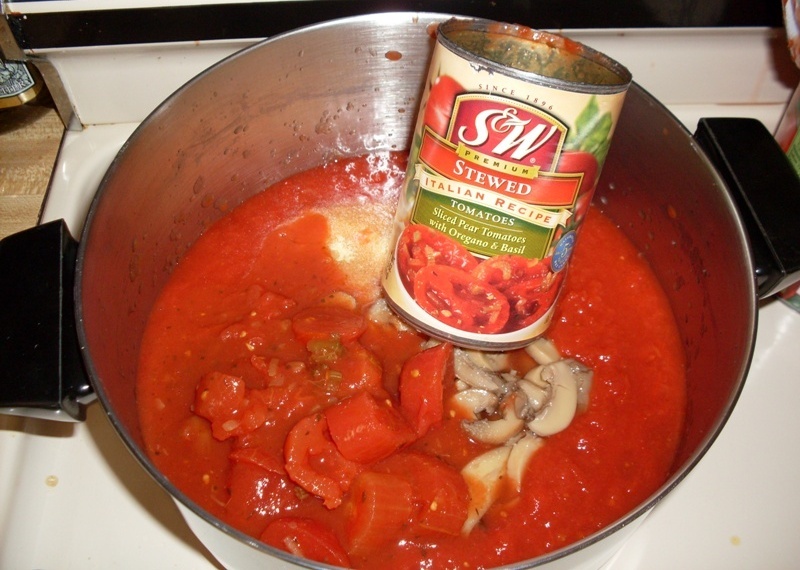 Add your medium can stewed tomatoes. Let bubble until reduced. 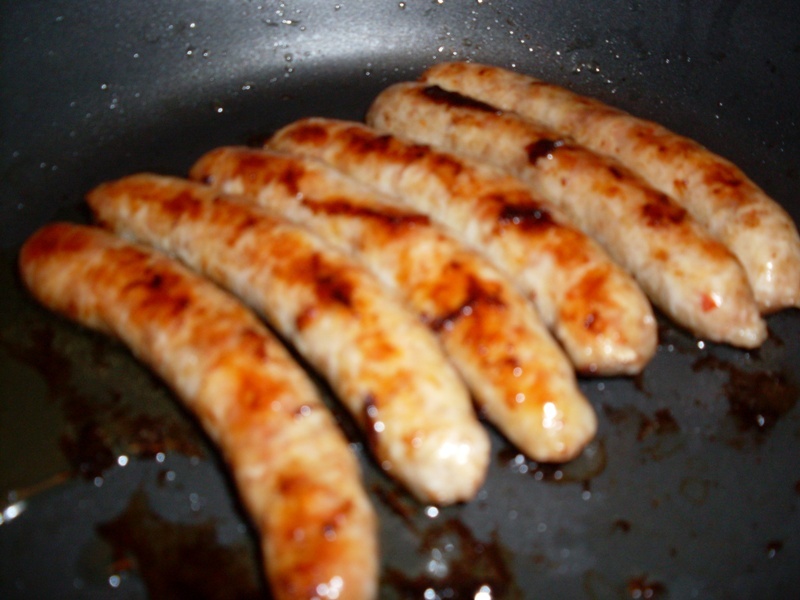 Once the sausage is thawed, fry it until browed. 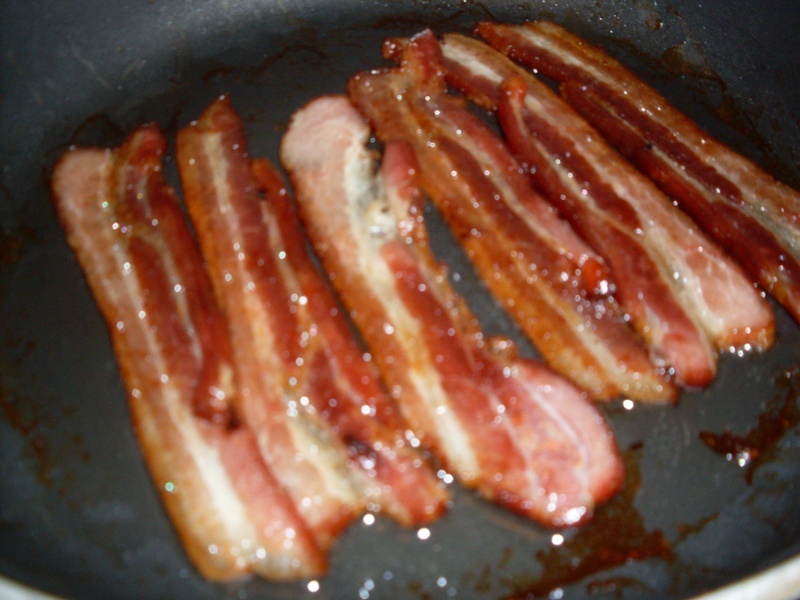 Finely dice your meat products, and remember - this is both kosher and halal. 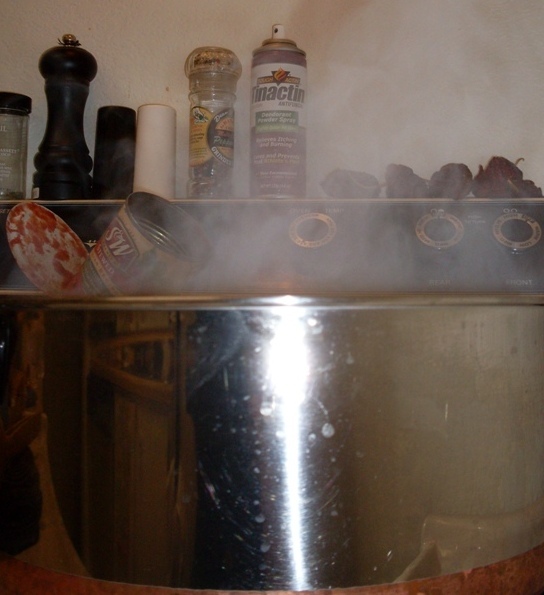 While the sauce simmers, bring a full pot of water to a rolling boil. 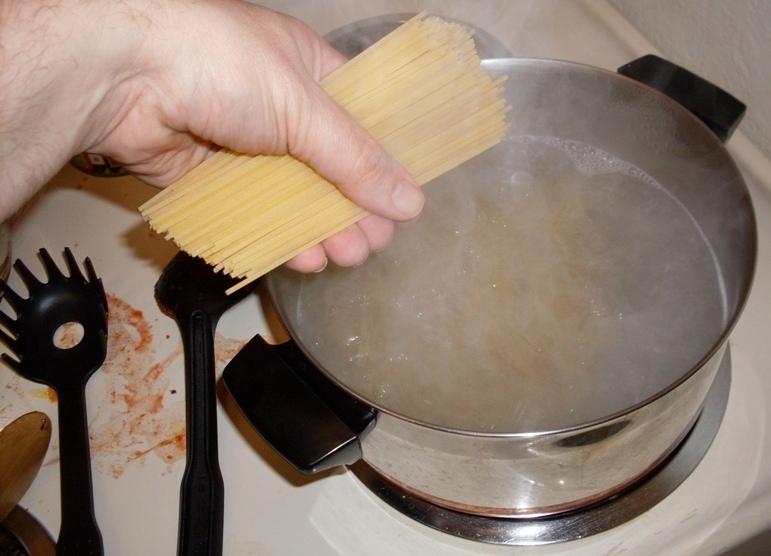 Use feet to break up pasghetti noodles into manageable sizes. 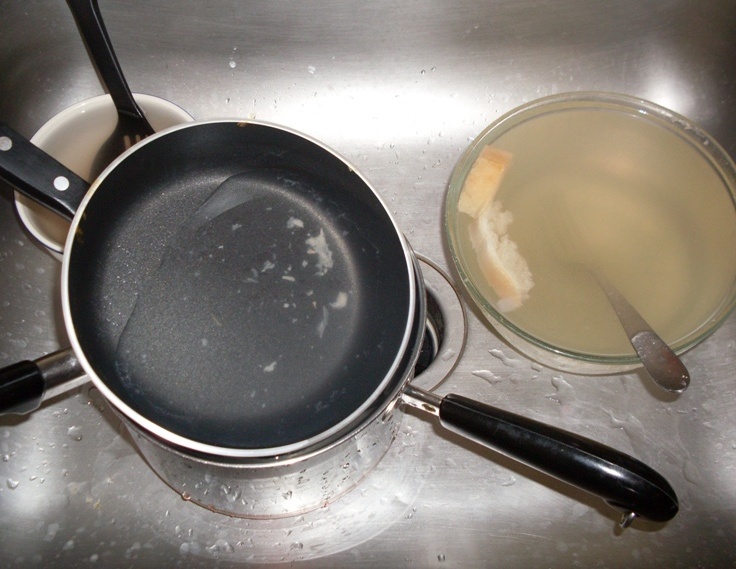 Once noodles are cooked al dente, drain thouroughly. a bed of noodles and.....ENJOY!! !